ROOM 1 is 5.565m x 5.825m = 32.41 sq metres less 6.13 sq mt (loft area) = 26.28 sq metres. 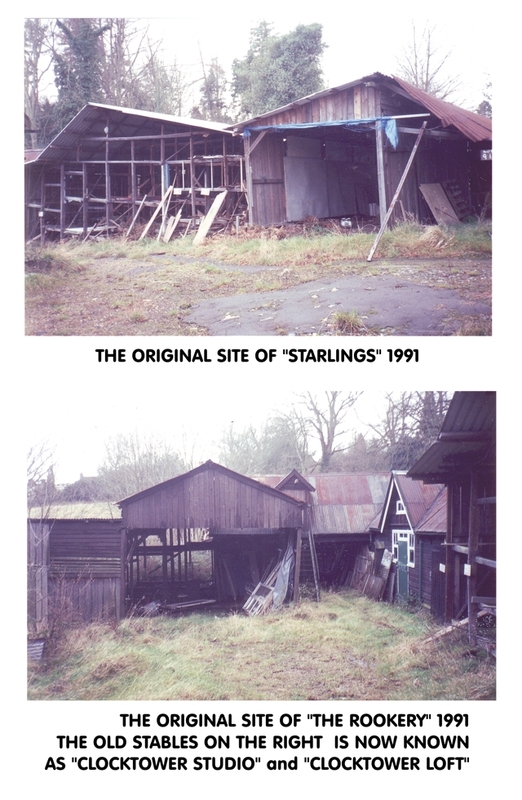 18ft 3in x 19ft = 345 sq ft less 66 sq ft (loft area) = 279 sq ft. LOFT STORAGE see plan (66 sq ft no charge). RATES: Rates @ £60 psm per annum (2018/2019 multiplier 0.493). Rates are not paid for communal areas. You may check the rates on the website of The Valuation Office: www.2010.voa.gov.uk. The billing authority reference number is Ba120501152270. Look for paragraph 1.20 The Rookery Suite 3. WATER RATES: Water and waste water are covered by the meter in Tomtits Lane. Meter Number: 2549381 (MARKED I on cast iron lid in Tomtits Lane). At the end of the year payment might need to be adjusted equitably between the occupied offices of the building. Each suite will pay in advance WATER £4 PER MONTH. WASTE-WATER CHARGE is based upon water usage. At the end of the year payment is adjusted equitably between the occupied offices of the building. Each suite will pay in advance WASTE WATER £9 PER MONTH. WASTE COLLECTION: £5 per week covers the use of one quarter of the 1100 litre green bins in the lane. ELECTRICITY: Meter No 3, housed in the cupboard opposite the toilets on the ground floor, measures exact units consumed. Electricity is currently billed by e-on and the tenant will pay 13.3 pence per unit for The Rookery. Additionally, each tenant will pay the agreed daily standing charge of 27 pence per day. Billing by the landlord will be end of March, June, September and December. 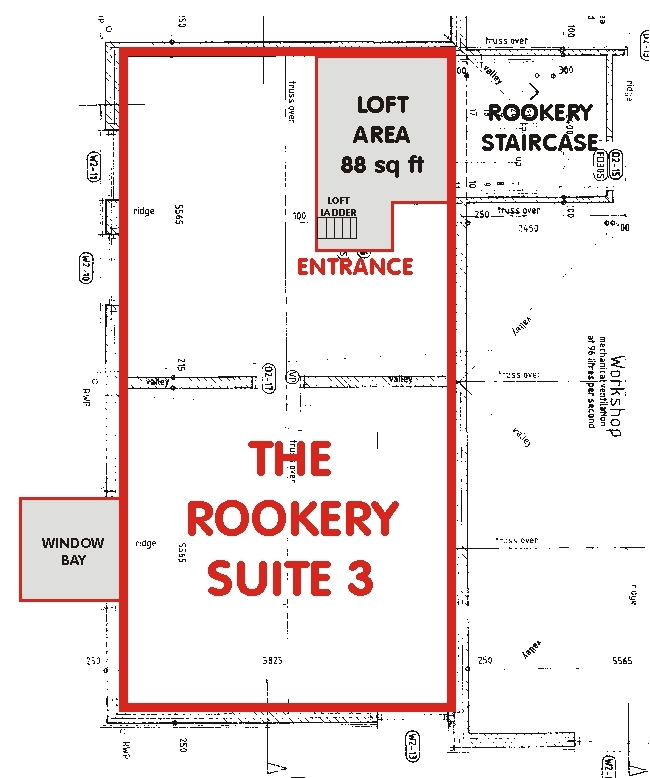 HOT WATER & RADIATORS: The GAS central heating boiler supplies ROOKERY SUITE 3 and SUITE 4. This gas boiler is serviced yearly; and is sited upstairs in the kitchen of ROOKERY SUITE 4. All service and usage costs are divided between both suites. Each suite has a individual meter to indicate radiator heat used by each unit. This is the basis for the division of the costs. 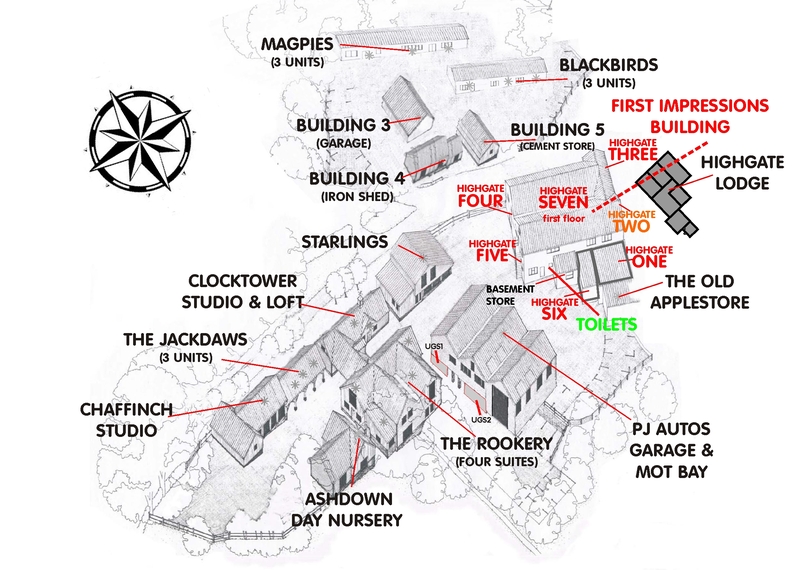 This meter is sited inside Rookery 3, high in the alcove to the right of the entrance (marked on the plan). FLOORING: Recently fitted dark grey loop-pile carpet tiles. Spare tiles stored in the loft space. DEPOSIT: A deposit of £1800 is returned if at the end of any agreement the premises are returned in the same decorative condition they were in at the start of the term. If the tenant ends the tenancy before the end of the one year lease a deduction of £200 will be made to cover costs associated with the drawing up of the lease. SIGNAGE: A charge of £60 inc VAT is made to cover cost of providing attractive engraved signs for entrance doors (2), the car park and the lane. INSURANCE: AVIVA provide property insurance as one policy on the whole of Highgate Works. The premium is £719.32 per annum for the whole of The Rookery. This is divided up according to floor area ROOKERY STUDIO: 15% of the cover; ROOKERY ONE: 11% of the cover; SUITE 2: 22% of the cover SUITE 3: 23% of the cover and SUITE 4: 29%. So SUITE 3 is charged £165.44 per annum (£13.79 pcm). External repairs; pathway and road maintenance; gutters and leaf clearance; all the responsibility of the landlord. The tenant is responsible for all interior decoration. The office will be newly decorated and a deposit will be retained to ensure that the premises are returned in the same decorative order they were in at the start of the tenancy. REFERENCES: Two business references (and previous landlord where applicable) will be required before agreement. PETS: No dogs or pets are allowed at Highgate Works out of consideration for the welfare of all who have business here. SECURITY GATES: The Tomtits Lane heavy electronic security gate opens at 7am and closes at 8pm each day. An example: If the tenancy starts on January 1st. The initial payment (ONE months' rent in advance) will cover rent up to the end of January. First payment by standing order on February 1st will pay rent for the month of February. It follows, that if one months' notice to end the tenancy is given part way through any month, there will be still to pay that part of the final month that matches the rental days in the current month that have just passed. In other words if you wish a tenancy to end on August 15th; and you give notice on July 15th, the rent for 1st to 15th August is to be paid either separately or by the standing order that should be paid on 1st August which pays for the whole of August. In this case any overpayment of rent will be refunded at the end of the term.